How much of a plan do you need when training a horse? Years ago my husband and I trained horses for the public. We accepted horses that would eventually have a future as trail horses, western pleasure, team penning, all around, and reining. Basically, if you had a horse and wanted us to train it we would. 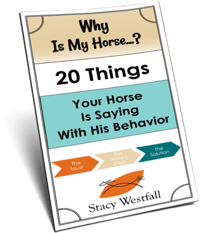 Training for the public means having good communication with the horse and the owner. Goals were always discussed. Each horse is an individual but I did develop a feel for the timing after training hundreds of horses for people. I told people that in general; if the horse is unbroken the first three months it doesn’t matter to me what the horse will ‘be’ in the end…the foundation is the same. I started a future western pleasure horse using the same methods I would use starting a future barrel racing horse. After or around the three month mark the direction mattered. A lot. As you can imagine the training, at some point, heads down a different path for the barrel horse vs the western pleasure horse. Same foundation-different end. I always kept people informed on my opinion of the horses natural talents as they were discovered. You might tell me you want a barrel horse but it is also my job as the trainer to tell you if your horse really doesn’t want to run. The horse can still be trained down that road because an entry level barrel racer doesn’t need a horse that has the heart and soul of a running horse-they just need a solid trained horse. I don’t know how long your horse has been in training but at some point it is worth talking about the future of the horse. You should express your desire, the trainer should add her opinion and the horse should have the ultimate say. ← Erin made me want to fight,cry and hug my kids…horses, cancer and life. Hi Stacy, just wondering what age you start training horses. I have a foal who will turn 2 in January. I am trying to sort out a training plan and am wondering how many hours a day or week you would spend on training. Also what you would do regards to training a foal. A lot of people have told me to just leave her alone until she is 3 because she will be a dangerous horse if I start to early. She can be quite cheeky while in the paddock tending to the other horses while feeding out hay, but I just ignore that. Maybe I shouldn’t have her running with the other horses??? Any help you could offer would be greatly appreciated. Hi Stacy, sure did thank you so much for replying. I found it very interesting reading. I can’t stop watching your videos, they are so interesting and I learn heaps from them. Just wish I had a indoor arena like yours. It is winter here in New Zealand so I normally winter the horses in another paddock and give them a well deserved break. Only about a month of bad weather left then I can get back into training and riding again. In the mean time I keep watching the videos to help me along with breaking in my foal. 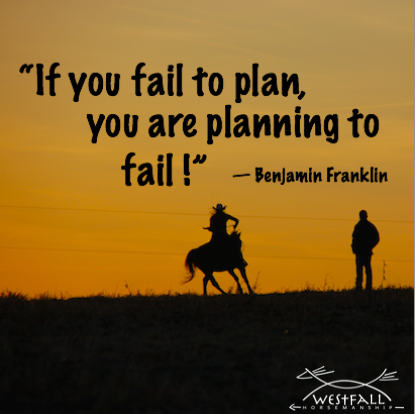 I personally wouldn’t want to leave my horse with a trainer that didn’t have a plan, not saying that all plans ‘go to plan’ but it could be a never ending job without a plan. 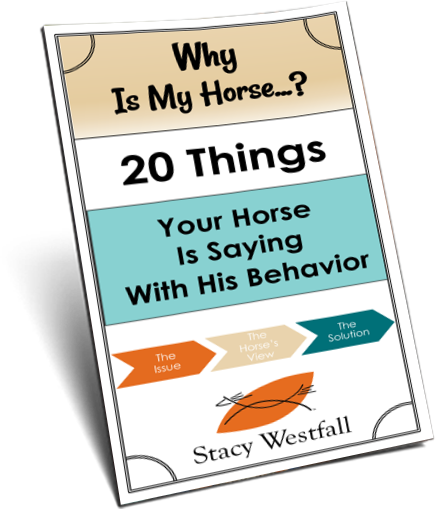 I agree that the foundation is the same – all horses speak the same language. Sometimes you see people with miniatures and they don’t treat them like horses – big mistake in my opinion. It’s like not training your dog, one day it could think it’s the boss and then you’re in trouble. I have been thinking this very thing! I have had horses in the past and training has been a ‘gone with the wind’ experience; dramatic and random. As I learn more about the horse world I love seeing these posts because I get another piece if knowledge to help me achieve the goal I’ve had since I was 12 in 2006… 🙂 thank you whom ever asked! Thanks for the response Stacy. As this is my question above, I can fill in a couple of the gaps. He has been in training for a year and a half. I don’t really have any expectations for what he ‘needs’ to do. I am certainly good with him telling me that. I have been training in the English discipline for a while but have recently found an interest in western and want to try some things there as well. Recently the trainer mentioned that they are never fully trained and he will basically be training with her indefinitely. I think I’m going to move on from the situation and find an opportunity with some better focus. At this point, I am riding him so maybe I can move him further myself. Thanks again!